This 26th January, the world’s largest democracy walks into its 70th Republic Day. On this day in 1950, the Constitution of India replaced the archaic Government of India Act. At that point in time, we had Pandit Jawaharlal Nehru as the nation’s Prime Minister. This 26th January, the world’s largest democracy walks into its 70th Republic Day. On this day in 1950, the Constitution of India replaced the archaic Government of India Act. At that point in time, we had Pandit Jawaharlal Nehru as the nation’s Prime Minister. 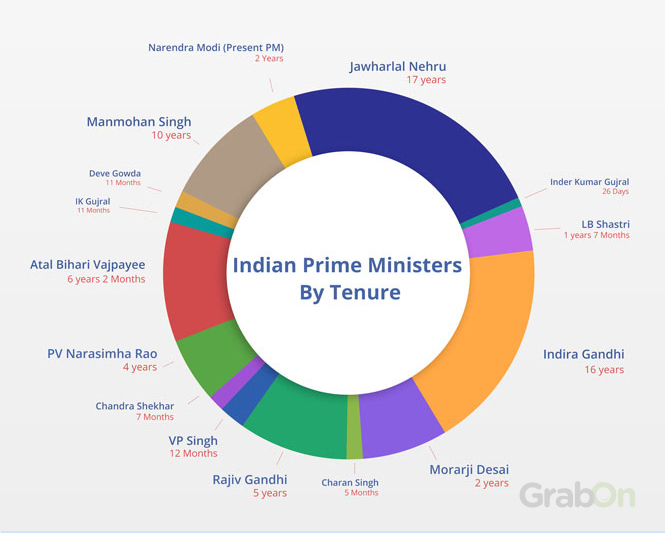 Since then, we had around 15 Indian Prime Ministers leading the country as the de facto head. It took us 70 years to get back our former glory, and every Prime Minister had something to offer in this journey. This 26th January, the world’s largest democracy walks into its 70th Republic Day. On this day in 1950, the Constitution of India replaced the archaic Government of India Act. At that point of time, we had Pandit Jawaharlal Nehru as the nation’s Prime Minister. Since then, we had around 14 Prime Ministers leading the country as the de facto head. It took us 70 years to get back our former glory, and every Prime Minister had something to offer in this journey. 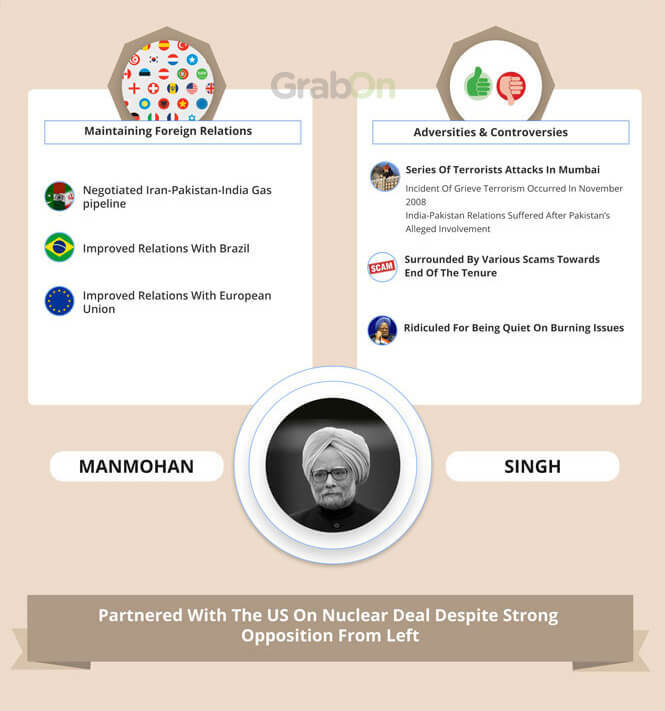 GrabOn has enlisted the leaders of our great nation and their achievements during their tenure in office. This Republic Day, don’t just know the leaders of the nation. Also, know what they did for the nation. 1. Jawaharlal Nehru (15th August 1947 to 27th May 1964): The longest serving Prime Minister, Mr. Nehru held his office for 17 years. 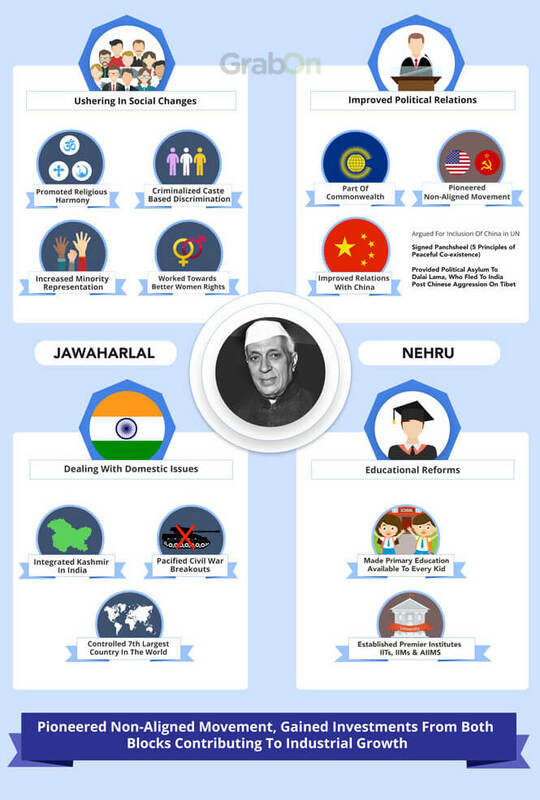 Some of this key achievements went on to shape our country’s socio-political atmosphere forever. Not only did he help set up premier institutions like IITs, IIMs, AIMMS etc, he also helped set up agricultural institutions. 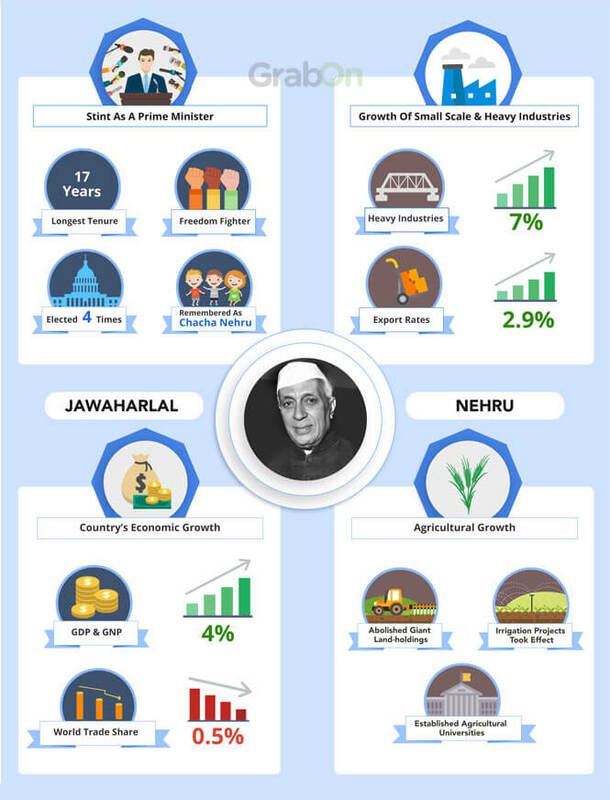 Nehru also helped recover the economy by increasing the GDP & GNP by 4%. In the agricultural sector, Nehru contributed by increasing growth and abolished giant landholdings. He also uplifted the country socially by decriminalizing caste based discrimination and worked towards women rights. We also went on to help India build a good rapport in international politics and pacified domestic struggles. The list can go on. Considering he was India’s first Prime Minister and served for 17 years, it is hardly a surprise. 2. 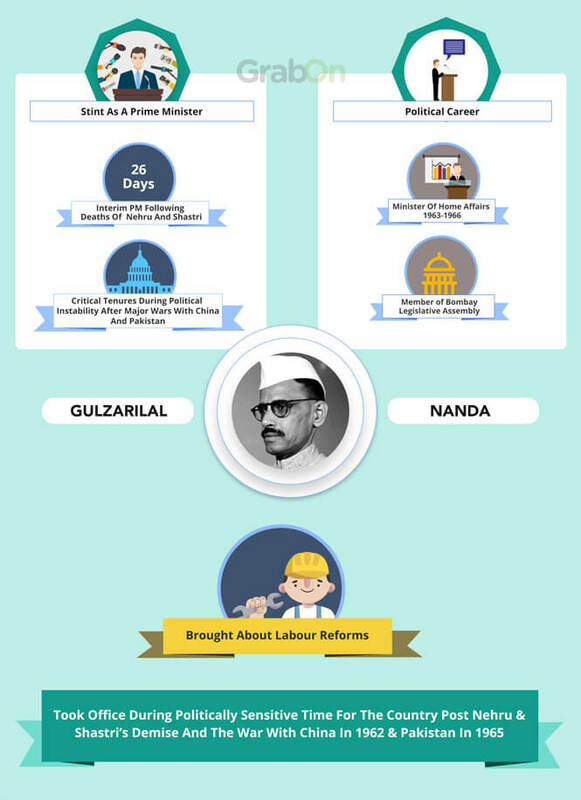 Gulzarilal Nanda (27th May 1964 to 9th June 1964; 11th January to 24th January 1966): Honourable Late Gulzarilal Nanda was the acting Prime Minister after the death of Pt. Jawaharlal Nehru. In his short tenure, he did not sit quietly and brought about numerous changes. Later, he was again appointed as the acting Prime Minister after the death of Lal Bahadur Shastri for 13 days. He served as the PM during a very critical time, considering the political turmoil just after the major 1962 Indo-China War and the 1965 Indo-Pakistan War. 3. 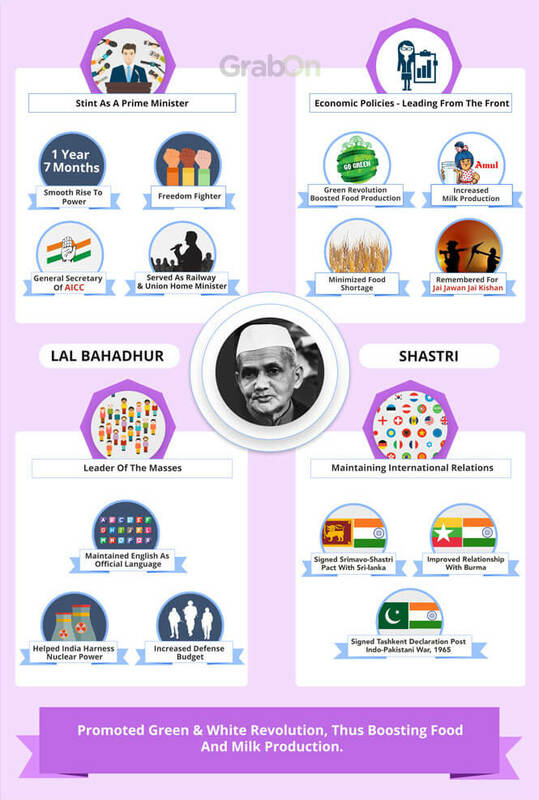 Lal Bahadur Shastri (9th June 1964 to 11th Jan 1966): Considered to be a leader of the masses, Lal Bahadur Shastri also served as the Railway Minister and Home Minister. 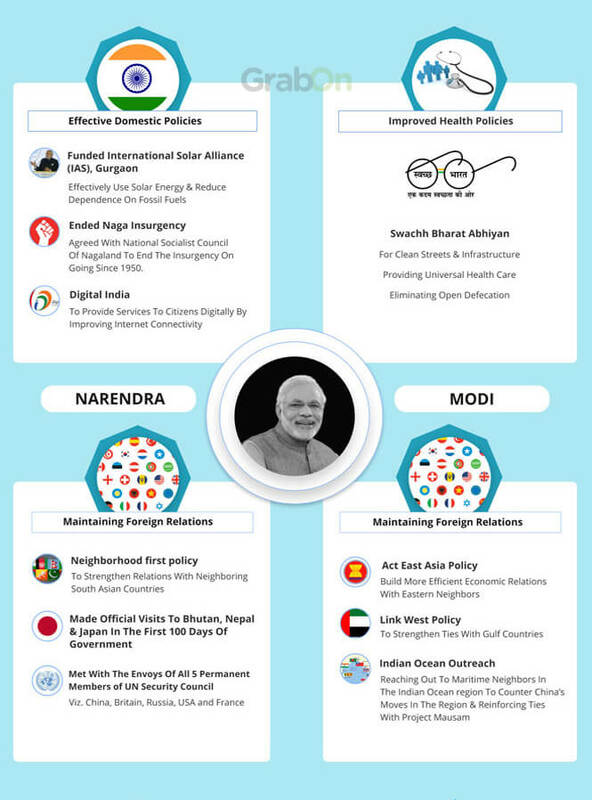 In his two year tenure, he brought in some key achievements. His famous slogan was ‘Jai Jawan, Jai Kisan’. He brought about the Green Revolution and helped the dairy industry produce more, which lead to the 1970 Operation Flood. 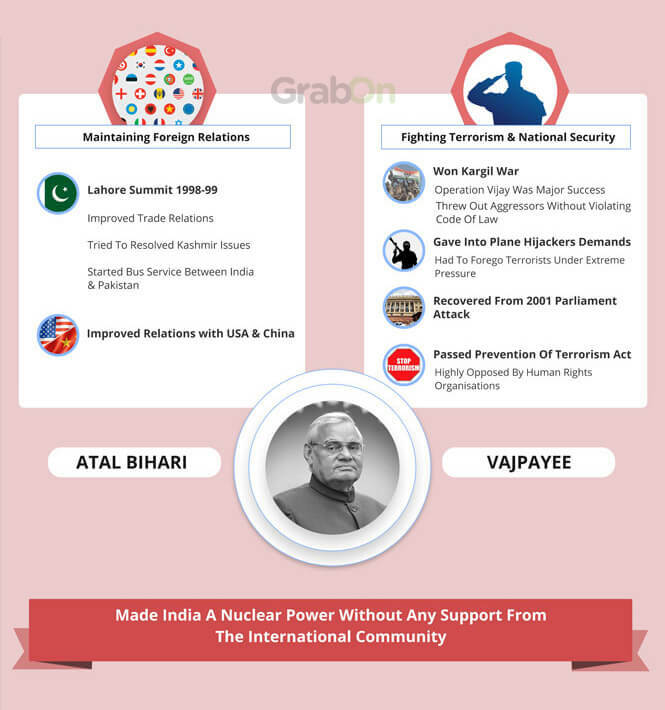 India started to harness nuclear power under his tenure. He also signed the famous Tashkent Agreement. 4. Indira Gandhi (24th January 1966 to 24 March 1977; 14th January 1980 to 31st October 1984): Known as the Iron Lady of India, Indira Gandhi was and till date the only female Prime Minister of India. A central figure in Indian politics, Indira Gandhi brought in a lot of changes. Under her rule, banks were nationalized. There was also a stark reduction in unemployment. The first Prime Minister to introduce equal pay for genders, she also strengthened international and domestic policies. Sikkim was integrated as an Indian State in 1975 under her leadership. 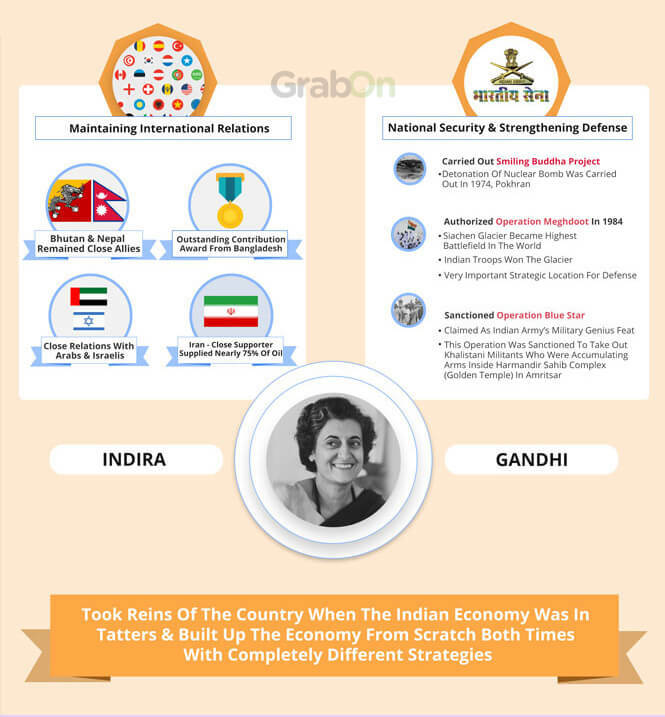 Known as the Iron Lady of India, Indira Gandhi was and till date the only female Prime Minister of India. 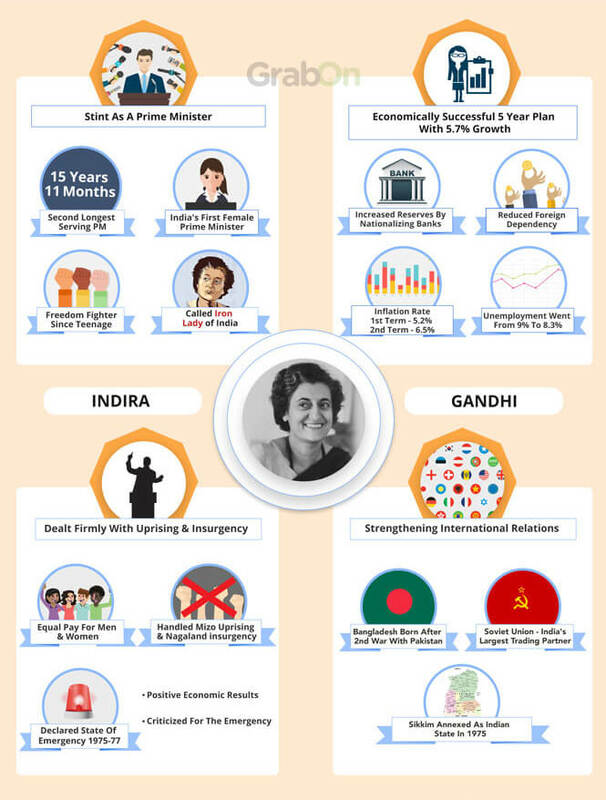 A central figure in Indian politics, Indira Gandhi brought in a lot of changes. 5. Morarji Desai (24th March 1977- 28th July 1979): He was the first PM who was not from the Congress party, Morarji Desai was (and still is) the oldest person to hold the Prime Minister’s office. In his two years in the office, he brought about some major reforms, which included the first demonetisation. 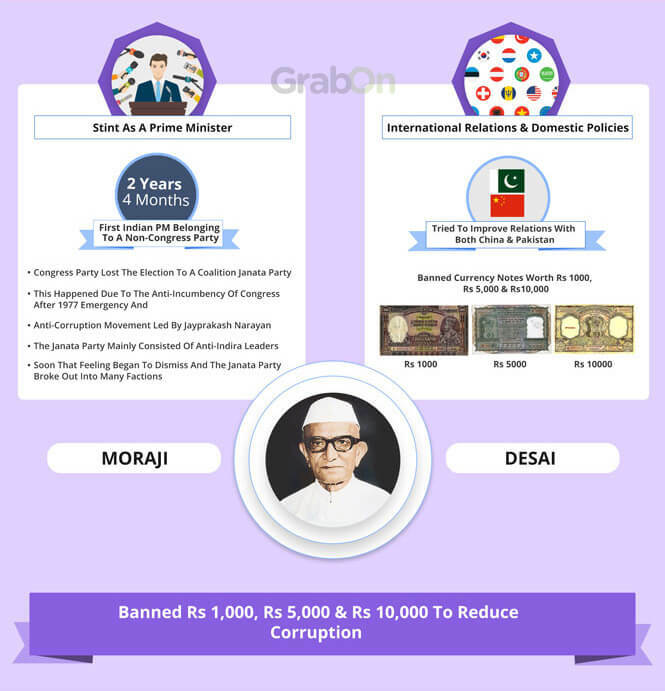 He banned currency notes worth Rs 1000, Rs 5000 and Rs 10000. He also supported peace activism and initiated peace talks with Pakistan. 6. 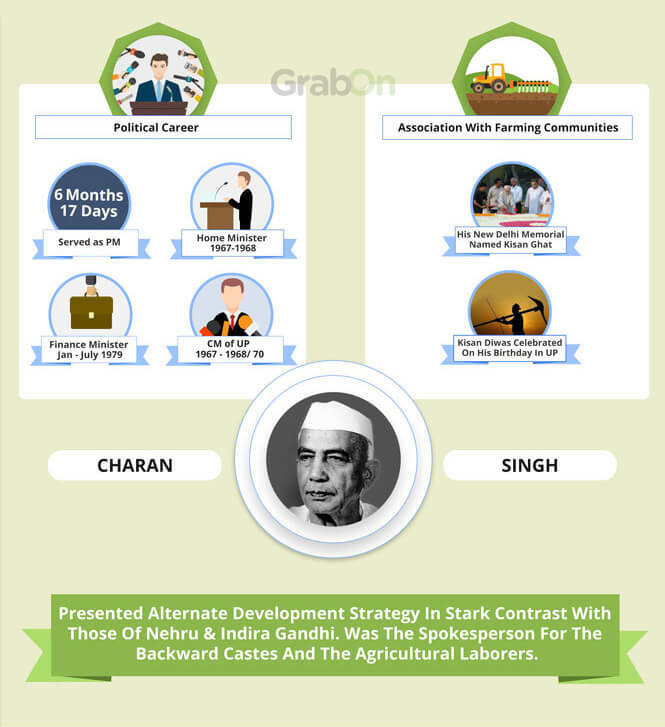 Charan Singh (28th July 1979- 14th January 1980): Considered to be the champion of peasants, Chaudhary Charan Singh enjoyed a brief time in the office. He was very vocal about the upliftment of the backward classes. 7. Rajiv Gandhi (31st October 1984- 2nd December 1989): Part of the Gandhi-Nehru family, Rajiv Gandhi was the son of Indira Gandhi. After the death of his brother, Mr. Sanjay Gandhi, in an aeroplane crash, Rajiv Gandhi decided to enter politics. He is often credited with contributing the most towards India’s IT revolution. He also reduced License Raj and brought about certain reforms in Economic Policies. He also improved relations with both USA and USSR. 8. 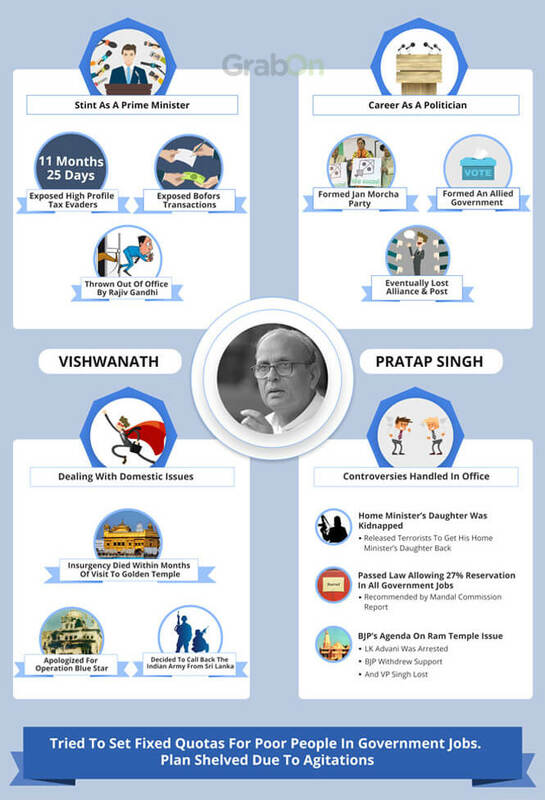 Vishwanath Pratap Singh (2nd December 1989- 10th November 1990): Known for the implementation of the Mandal Commission, Mr. V.P Singh’s short tenure of 11 months was full of interesting developments. He apologised for Operation Blue Star and curbed the insurgency in Punjab instantly. He also handled domestic controversies, including the kidnapping of his Home Minister’s daughter. He helped the country evade a war by stopping Pakistan’s attempt to start a border war. 9. 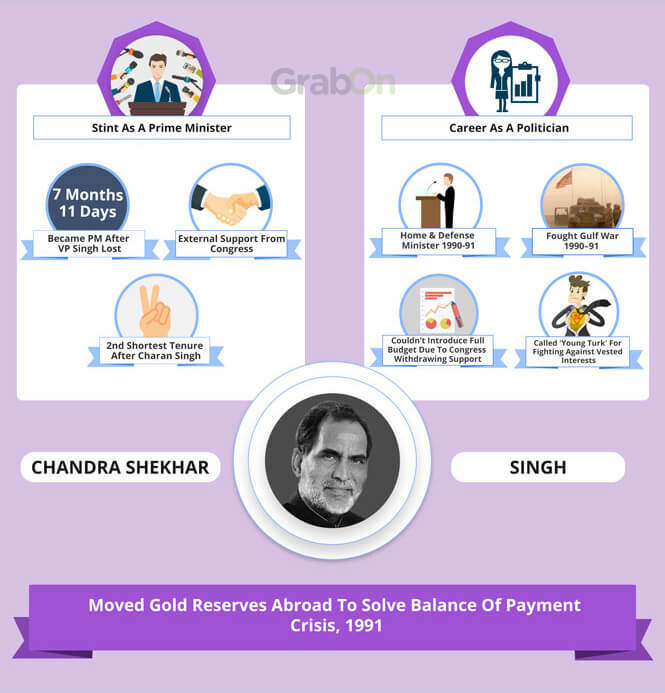 Chandra Shekhar Singh(10th November 1990- 21st June 1991): The second shortest tenure after Mr. Charan Singh, Chandra Sekhar’s tenure lasted a little over 7 months. Due to the political instability at that point, he couldn’t contribute much. 10. 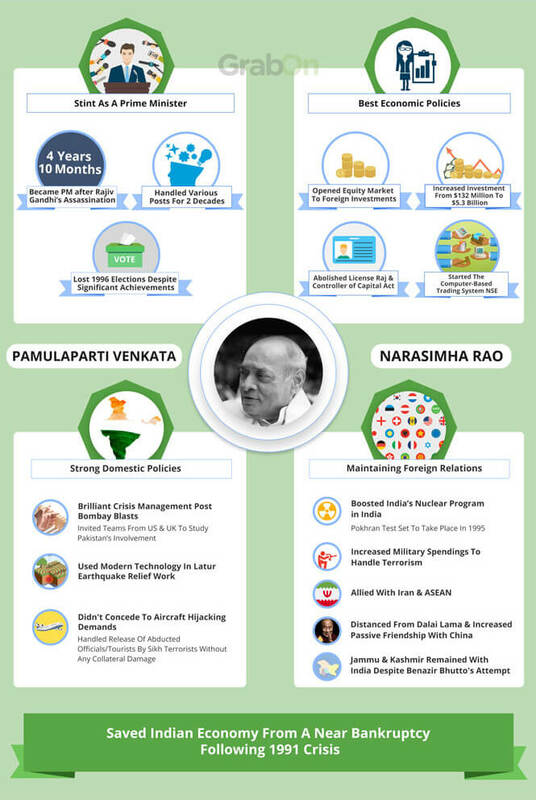 PV Narasimha Rao (21st June 1991-16th May 1996): Referred to as the Father of Indian Economic Reforms, Narasimha Rao was vital to India’s growth and globalisation. Under his leadership, India experienced a shift in its economic model. He managed India’s economic crisis of 1991 brilliantly and abolished License Raj. 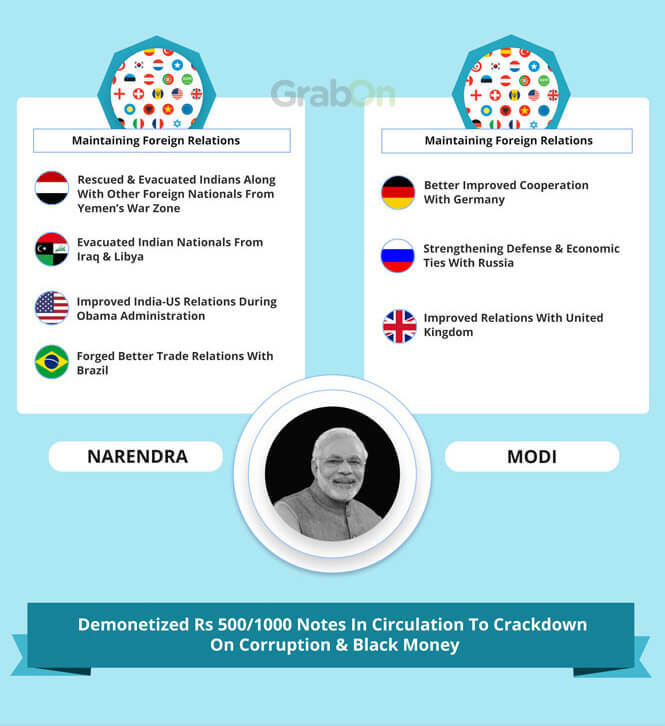 He also opened Equity Market for foreign investments and boosted India’s nuclear program. 11. 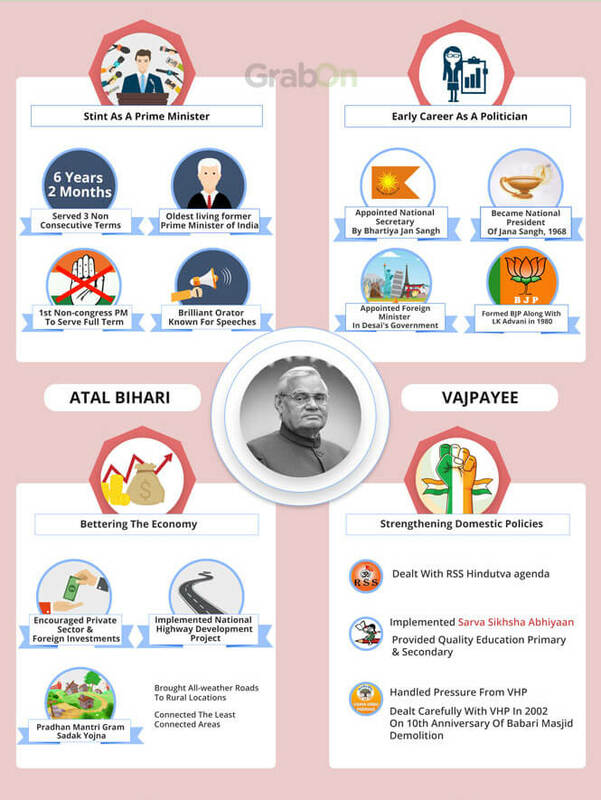 Atal Bihari Vajpayee (16th May 1996- 1st June 1996; 19th March 1998- 10th October 1999; 10th October 1999- 22nd May 2004)- One of the most recognised politicians of India, Mr, Vajpayee was the first non-Congress Prime Minister to hold office for a full term. 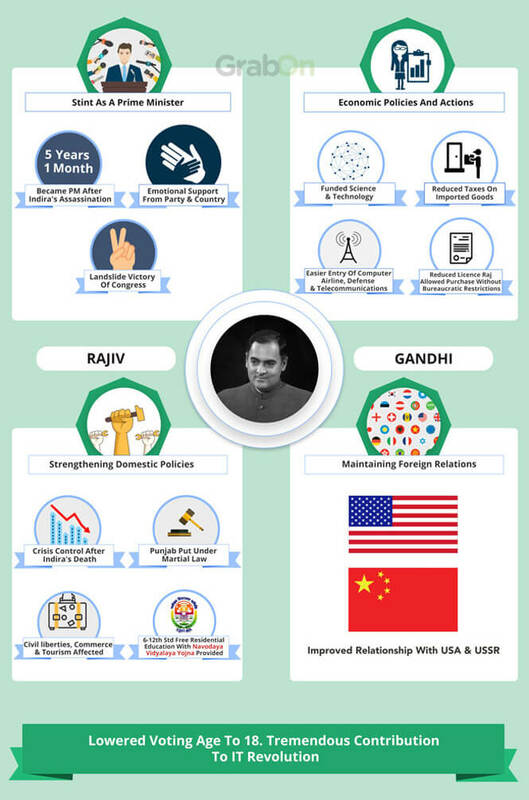 Under his tenure, India transitioned into a new era and saw a lot of changes. India carried out the Pokhran II nuclear tests under him. He also encouraged the private sector and brought in foreign investments. He also the Implemented National Highway Development Project and Sarva Siksha Abhiyaan. 12. Haradanahalli Doddegowda Deve Gowda (1st June 1996- 21st April 1997): Holding the post for 10 months, Mr. Gowda was also the head of the United Front Government. In this 10 months of tenure, he was also the Chairman of the Steering Committee of the United Front. Inder Kumar Gujral (21st April 1997- 19th March 1998)- Famous for implementing the Gujral Doctrine, Mr. I.K Gujral was also in office for 10 months. Mr. I.K Gujral also held important positions before handling the PM office. 13. Inder Kumar Gujral (21st April 1997- 19th March 1998): Famous for implementing the Gujral Doctrine, Mr. I.K Gujral was also in office for 10 months. Mr. I.K Gujral also held important positions before handling the PM office. 14. 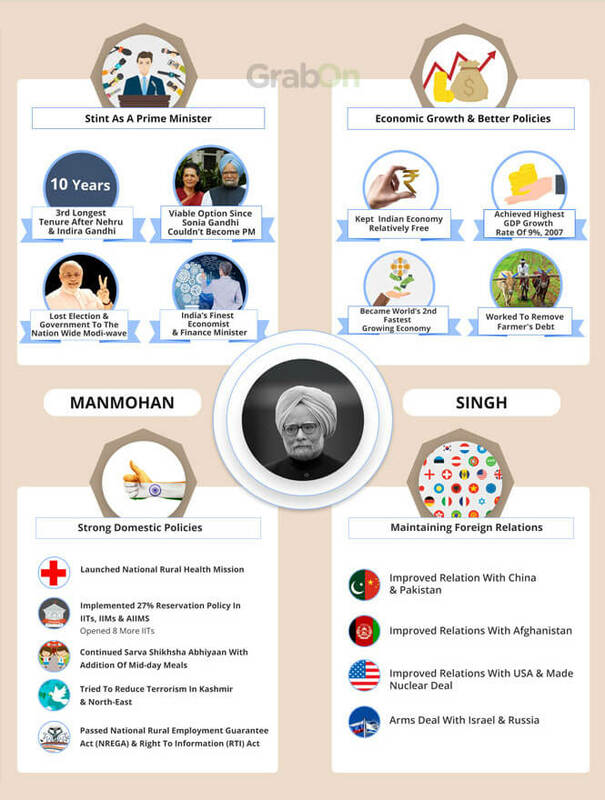 Dr Manmohan Singh (22nd May 2004- 26th May 2014): Considered to be India’s best Finance Minister, Dr. Manmohan Singh is considered to be one of the best economists in the country. As the Prime Minister of the country, he was in charge of the some of the biggest changes in the country. Under him, India recorded the highest GDP growth since Independence and became the world’s 2nd fastest growing economy. He also passed the RTI Act. 15. 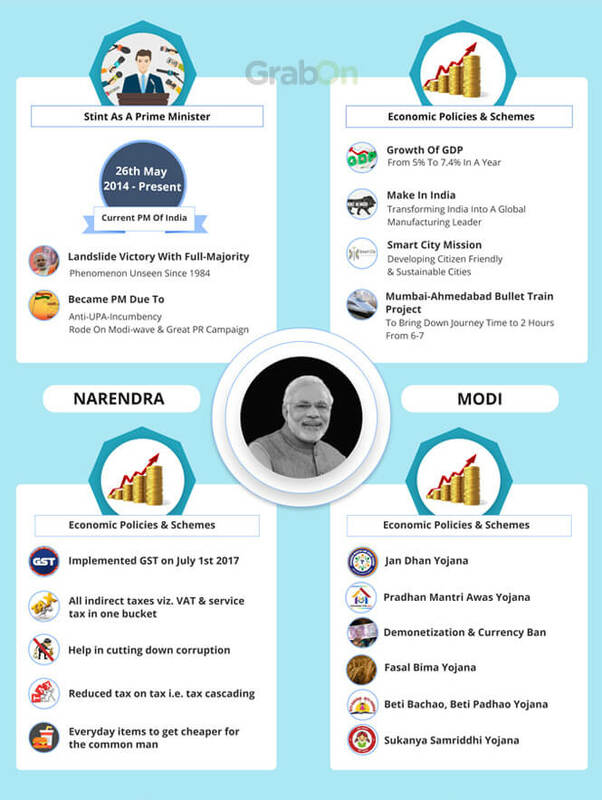 Narendra Modi (26th May 2014- Present): After coming to power after riding the ‘Modi Wave’, Mr. Modi went on to create history by becoming India’s most popular Prime Minister. He planned the largest demonetisation in the world to get rid of black money. He also initiated the Make In India and Digital India. Under him the implementation of the Goods and Services Tax (GST) and Pradhan Mantri Yojna took place. Don’t forget Swacch Bharat Abhiyaan and Beti Bachao Beti Padhao either! So, that’s the country’s history. How well do you know the men who shaped our country? We wish you a Happy Republic Day this 2019 and hope you actively show interest in the country’s policies. How will this country prosper if the citizens are not active and show an educated opinion, when it comes to the country’s welfare!